1. Find something you enjoy doing. 2. Get good, really good, at it. 3. Find someone else who will pay you to do it. After over 32 years of ‘jumping’ and 5,000 plus jumps, Lee did admit to two injuries. Lee broke his back in 1983 and left more than his share of knee DNA on the flight deck of the Midway. Skydiving Innovations relies on many team members, many of whom have been trained by the Navy and Army--the best and the brightest. The largest jump ever was a 100-person promo for T-Mobile and a promotional jump on the Midway required 17 failures in rehearsal to nail it. Lee admitted that even after so many jumps, every jump brings pressure and fear and if he didn’t feel that it would be time to stop. Taking questions from members, Lee commented that if contemplating your first jump, do so in tandem. Indoor skydiving facilities serve as a good introduction to the sport, build skills and are safe. Speaker Aaron Byzak, Senior Director of Government and Community Affairs at UCSD, spoke of the amazing life of his grandfather, Wilfred "Chick" Mensching. "Chick" left school after the 9th grade, and after attempting some career choices, unsuccessfully , joined the USMC. He managed to be in the Philippines when the Japanese attacked Pearl Harbor, after being shot 11 times, sent to a POW camp and on to the infamous Cabanatuan Camp for 2 1/2 years, then on to the "hell ships" for the Omori Prison Camp where he was finally liberated weighing only 90 pounds. He continued his Marine life in Korea. Eventually, "Chick" became the first President of the Carlsbad Hi-Noon Rotary Club. due to very large conference at the Sheraton. Red Badger, Tom Gaskey presented a $3000 check from American Pacific Mortgage to "Solutions for Change". Gloria Foote, a member of the SOC Board accepts the check. Alex Klingensmith-Treasurer, Velyn Anderson-Secretary, Mark Beardsley-Vocational Service, Maureen Simons-President Elect. Carlsbad Hi-Noon Rotary's 13th Annual "Teens and Marines" Golf Tournament at The Crossings, Carlsbad was a big success! This tournament is the sole source of fundraising for Hi-Noon's Scholarship Fund. Each year the Scholarship Team interviews and selects Carlsbad students and military veterans for scholarship assistance. Carlsbad Hi-Noon is proud of the hundreds of students and thousands of dollars raised in the past 12 years to enhance the educations of Carlsbad's young people. Please check back for pictures and more! ​Saturday, October 3, 2015: It's time to DANCE and EAT . . . Oktoberfest Rotary Style, that is. It's the 33rd annual Carlsbad Rotary Oktoberfest, also at Holiday Park, Carlsbad. There will be German food (and other menu selections), music, kids pumpkin-painting and a variety of other fun elements for your family to enjoy. Plan to come from Noon to 10 pm. Admission is $3, and included with dinner tickets ($12 advance, $15 at door) but food, beer, wine, and games are purchased with tickets sold at the park. All net proceeds from this event also help the city's nonprofit organizations as both Carlsbad Hi-Noon Rotary and Carlsbad Rotary use the funds to support nonprofits helping Carlsbad residents throughout the year. This family event provides fun, games, and eats for everyone in the family. Refer www.rotaryoktoberfest.org for more specific information. Carlsbad Hi-Noon Rotary works all year to provide "Service Above Self" through it membership, its events and its hands-on projects. When you support the events, you support the body of work of Carlsbad citizens who are Rotarians doing good for their community. Thank you. President Mark notes that one of our club beneficiaries, Solution for Change, is in need of clothes for the children and parents at their facility. 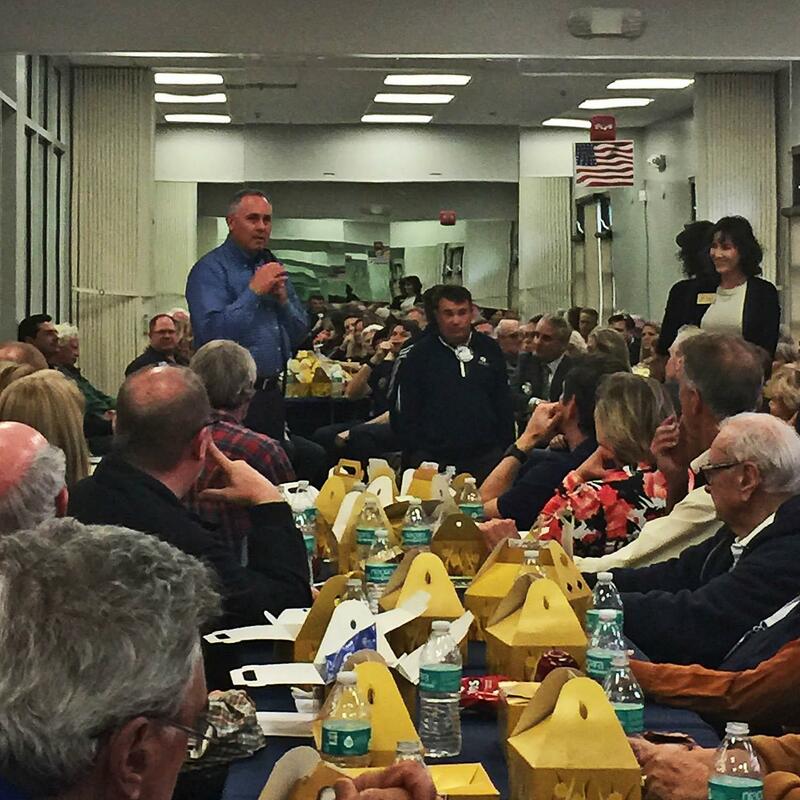 Mark asks that members bring items to the club meeting on Monday, October 27. Check those closets!! Lisa Rodman announces the beginning of the club's newest project for our community. Volunteers will be providing services to seniors each month with a kickoff meeting at the Discovery Center on Saturday, October 18. For more details contact Lisa at lisa@aquahedionda.org. The 21st Rotary Cup Football Game between the Carlsbad Lancers and the La Costa Canyon Mavericks will be held at Carlsbad High School on October 17, 2014. Kickoff is at 7 p.m. The winner's name is engraved on the trophy each year and the winner retains the Cup until the next game. The teams are tied with ten wins each. This Carlsbad Classic and the Rotary Trophy are sponsored by the Carlsbad Hi-Noon Rotary Club. Carlsbad High School is located at 3557 Monroe Street (aka Lancer Way). Park in the main CHS Student Lot and walk up Lancer Way. Tickets are $7 for adults and $5 for students. Stay tuned! Our Bulletin Editors are now preparing to transition from the old MSWord bulletin to this new dynamic format. Please be patient as we make the transition. To view our current bulletin please go to our homepage at www.clubrunner.ca/carlsbadhinoon. Go to the download section, upper left, and click on bulletin. 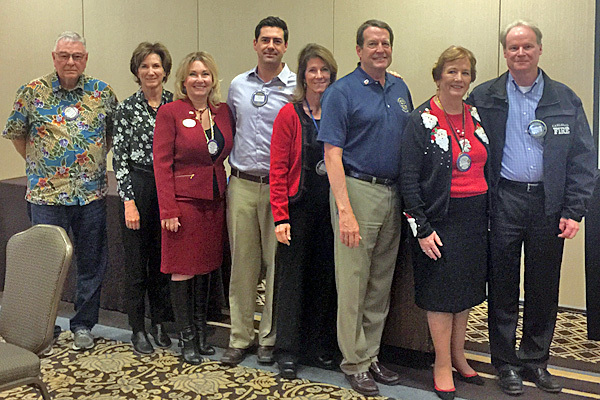 Each year a variety of professionals discover Carlsbad Hi-Noon Rotary thereby adding to the club's membership. Hi-Noon Rotary is a place where, working together, the members give back to the local and international communities through hands-on projects and (we put the "fun" in) fundraising. "Service Above Self" is not just a Rotary International motto--it is a fact of life in this club. Please read the membership materials identified on the top left corner of the home page on this website and contact our Membership Chairperson Patty Johnson to answer your questions. Johnson's contact information is 760-845-8938 or pattyjohnsoncarlsbad@gmail.com. She will be able to answer your questions and invite you to one of the Carlsbad Hi-Noon Rotary meetings held at the Sheraton Carlsbad at noon on Mondays (except federal holidays).